I have found that you do not have to have a love-hate relationship with schedules, but rather you have to figure out which type of homeschooler you are—one who loves schedules and wants to follow one to the letter or one who doesn’t care for them and would do better with a looser type of schedule that still provides some sense of structure. If you love schedules, then you will probably do better with a moment-by-moment, or at least hour-by-hour one to guide your day. While I might not firmly make 10:00-10:30 math for everybody, I always knew (and the kids always knew) what to expect based on the block of time it was. 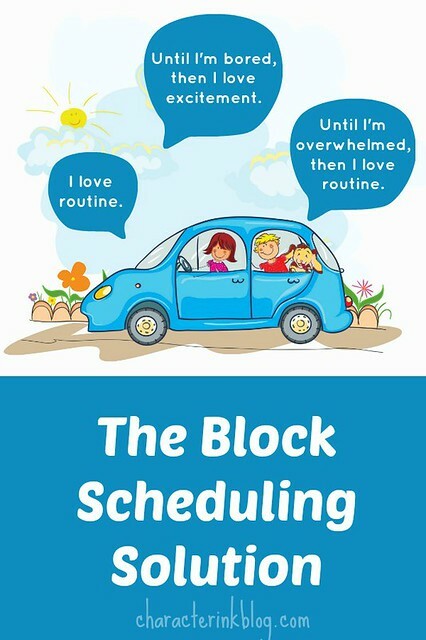 Regardless of what type of schedule you use, there are a few key things to being successful in homeschool scheduling. I will leave you with a few of these: (a) Change the schedule every few months as needed, based on the ages of your children; (b) Write the schedule out and “advertise” it for everybody in your family to see all the time; and (c) Attach things that are really important to you to things that are already in your schedule. (a) Change the schedule as needed. I found especially with little ones that I needed to change the schedule to adjust to their needs and my availability. 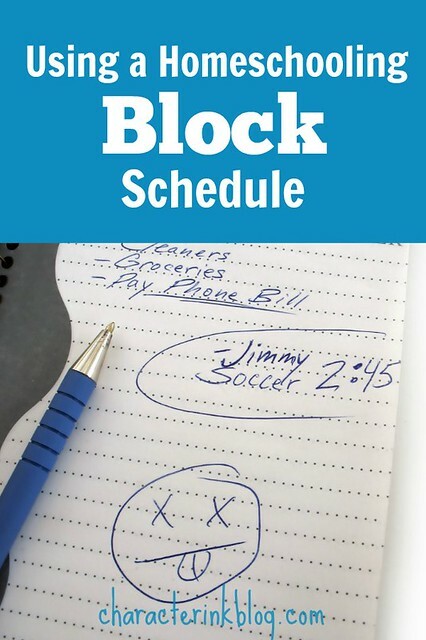 When I had littles, I actually revised the schedule every season—based on how long the baby was nursing at that time; how long the toddler napped; who could do which chores now; who needed longer blocks of school meetings with me; etc. I wasn’t locked into the exact same schedule for the entire school year, but I changed it as the children changed throughout the year. (b) Write the schedule and “advertise” it. I posted our schedules on the refrigerator, in the fronts of the kids’ binders, on their lesson plan/check sheets, etc., so that everybody could always look and see what was supposed to be happening in our day at a certain time. The lunch person always knew what time he or she was supposed to be in the kitchen; the laundry person always knew what time laundry was to be done each day. By “publishing” the schedule for all to see, I made it more official—and I could even get Dad involved in helping me enforce it if I had a true, posted schedule. (c) Attach important things to things that are already in your schedule. Scheduling your homeschool doesn’t have to be drudgery with everybody following thirty minute time boxes and nobody enjoying it. Make your schedule work for you and your family!